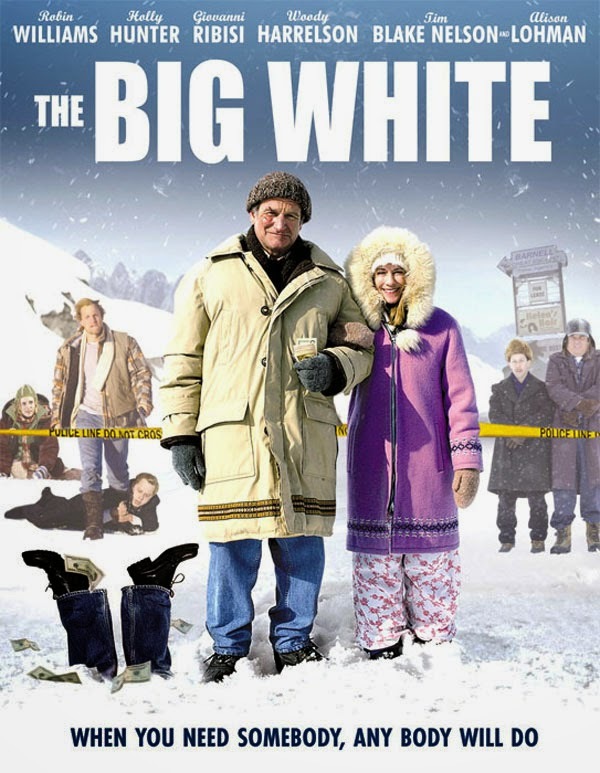 The Big White is an excellent comedy that slipped under the radar. Very reminiscent of Fargo in it's dark humour although a little more relatable. And that is mostly because of Robin Williams and Holly Hunter. They add that human element that makes you root for them no matter what. Something I personally did not find in Fargo. The crime element is not something original and everything concerning this can be predicted. That does not matter much since in this case it's more about the characters and how they deal with the events. Which is often very funny to watch. At points it did feel a little underwhelming because some scenes screamed for more flamboyance and hilarity. However thinking about it, it might have detracted from the drama element that was present. So overall i think this is one of the better comedies Robin Williams has starred in and a bit puzzling why this film is so underrated as it is.